Fisher families in the coastal villages, Kilali, Ketpali, Kachchai and Kiolakandy have lost their livelihood and are facing abject poverty, officials of non-governmental organizations in the region said. 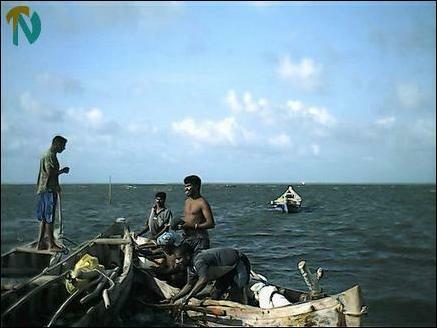 Fishermen with their locally made catamarans seen fishing in Thenmaradchi. These fishermen use catamarans and other locally made boats to fish and the SLA is not allowing them to go for night fishing. Hence the catch is very poor and they find it very difficult to run their day-to-day lives, sources said. However, fishermen from the Gurunagar and Pashaiyoor coastal areas in the Jaffna town have been allowed to use mechanized boats to fish in the Jaffna lagoon, sources said. 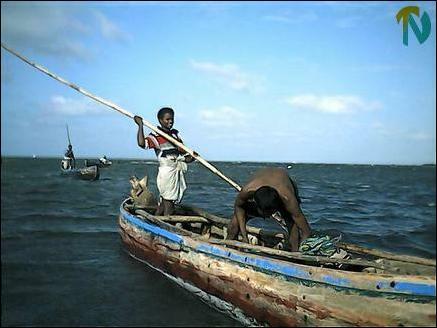 Fisherman goes in a locally made boat for fishing. 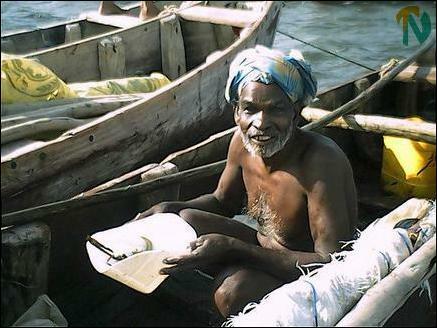 A fisherman in the Kachchai area. 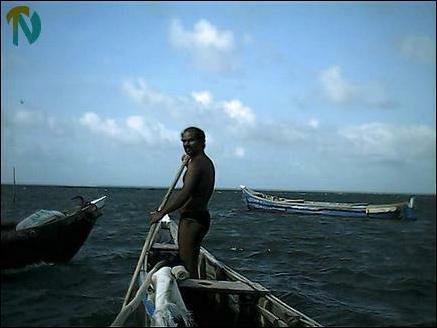 Sri Lanka army personnel checking fishermen in Kilali sea.